The Catskill Center and the New York City Department of Environmental Protection (DEP) today announced the purchase of a 2-acre parcel of land in Greene County—the very first to be protected under a new program that preserves environmentally sensitive lands alongside streams, creeks and rivers. The Streamside Acquisition Program is managed by the Catskill Center and funded by DEP. The program focuses on preserving lands that are adjacent to streams that feed the City’s reservoir system in the Catskills. The newly protected property is on Mill Street in the Town of Windham. It is forested and has 275 feet of stream frontage on a tributary of the Batavia Kill. That stream is important for the water quality entering Schoharie Reservoir, which provides about 15 percent of New York City’s water during a typical year. The streamside property, which is now owned by the City, will eventually be opened for public recreation. The Streamside Acquisition Program is one of several land conservation programs funded by DEP to protect water quality in the City’s reservoir system, which serves 8.6 million people in New York City and an additional 1 million people in four counties north of the City. The new streamside program aims to preserve sensitive lands that are immediately adjacent to streams, creeks and rivers, along with floodplains and wetlands. Through this voluntary program, the Catskill Center works with interested property owners to purchase streamside lands at fair market value. In some cases, the Catskill Center will work with the property owners to subdivide the land so that it can preserve only the streamside portion while the remainder stays in private ownership. The purchased land is then owned and managed by DEP, which protects it as forever wild through a conservation easement that is conveyed to the state Department of Environmental Conservation. The Streamside Acquisition Program is currently in a pilot phase, operating only in the Schoharie Reservoir watershed. The pilot program was included in the 2014 revision to New York City’s Filtration Avoidance Determination (FAD), the state permit that allows DEP to operate its Catskill-Delaware water supply system without filtration. 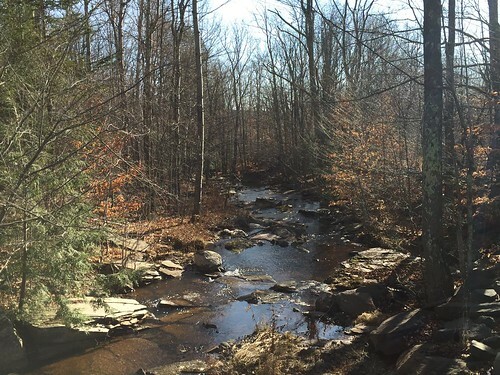 The 10-year FAD that was issued in December 2017 required the allocation of additional funds for the program and laid out a process for its potential expansion to other parts of the watershed in the Catskills. Landowners in the Schoharie Reservoir watershed who want to learn more about the Streamside Acquisition Program can call the Catskill Center at 845-586-2611 or email them at cccd@catskillcenter.org. Since 1969, the Catskill Center has protected and fostered the environmental, cultural and economic well-being of the Catskill Region. More information on the Catskill Center can be found at catskillcenter.org, on Facebook, or on Twitter.